David recently joined our Board and is currently in the position of Chairperson. With over 30 years of board experience and more recently as a CEO and CFO of a large firm in Sydney, his experience is invaluable in helping to shape the future direction of the college. David is looking forward to the opportunity of assisting the Central Coast Sports College and is committed to facilitating the college’s growth and development as a high quality education provider. He believes strongly in quality education and is passionate about enhancing the colleges supportive and inclusive environment, allowing all students to reach their full potential. As a father of two daughters he knows how important it is to have a college that fosters a family friendly and inclusive environment. David looks forward to using his years of experience as a CEO, CFO and Board member to help guide the college as it works toward achieving it’s vision of supporting the lives of it’s students and their families. As a passionate and knowledgeable Employment Lawyer, Karen is known for her holistic approach to workplace issues and her practical solution focused advice. Karen specialises in both Employee and Industrial Relations. She brings a wealth of expertise, with a focus in common litigation activities, negotiation, legal writing and contracts, oral advocacy, counselling and mediation. Karen prides herself on her excellent track record in resolving unfair dismissal cases, and her sound approach to minimizing risk during this process. 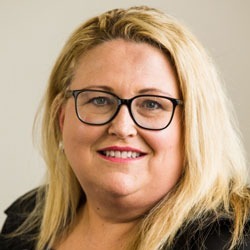 Karen worked in Commonwealth and State Government roles for most of her early career before moving to the Department of Industrial Relations, NSW where she provided advice and support to the Fair Work Ombudsman on the implementation of the 2010 implementation of the Fair Work Act. Since 2011 she has been working largely for the Aged and Community Sector. In June 2016 she accepted an Employee Relations Specialist Role with PerformHR in the Central Coast and Hunter region. Karen brings a fresh approach and independence and is excited to work with the Central Coast Sports College. Father of three sons and passionate about education and sport, Paul is the CEO and founder of the Central Coast Sports College. After working in the IT industry for over 12 years for companies like Apple and other large multinationals, Paul found his calling working in schools and retrained as a secondary school teacher. Paul attended Newcastle University to study a Bachelor of Education and graduated with a University Medal and First Class Honours. Paul taught PDHPE and technology for six years at a local Independent school before starting the Central Coast Sports College in 2013. 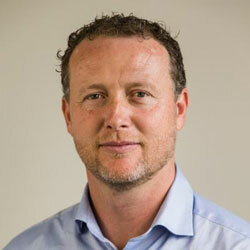 Paul also served on the Board of Directors of the Central Coast Mariners for 2 years. He believes strongly in community service and has experienced first hand the rewards of engaging small groups of teenagers in aid projects in Cambodia and Borneo. Paul works tirelessly to promote world’s best practice in the academic, football and tennis programs within the college. Steve commenced his career in Real Estate at the age of 20 in the Western Suburbs of Sydney, primarily dealing with Industrial properties. He moved to Parramatta where he worked for an International Real Estate Company for 14 years where he became a Director of the company. Steve established his own real estate consultancy business in 1990, prior to moving back into Commercial Real Estate with another International Real Estate company as an Equity Director. 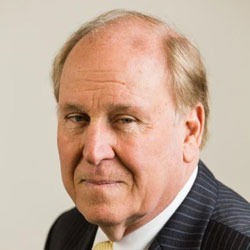 In 2006 Steve re-established his own real estate business, and consulted to High Net Worth Clients, International Companies and State Government Departments. Over the years Steve has mentored a number of up and coming young Business people and watched their careers blossom. Steve believes, “the harder you work, the more successful you become” and lives by the beliefs of honesty and transparency. Steve is looking forward to the opportunity of assisting the Central Coast Sports College moving forward, and is totally committed to achieving the college’s vision of ‘creating a place where every individual can be the best they can be’. 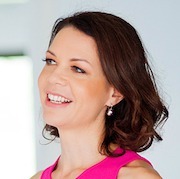 Founder and Director Amber Daines is a former TV and print journalist and corporate communications expert with over 20 years of local and international experience in the worlds of traditional media, PR, fundraising and relationship marketing in the government, business and creative fields. Amber holds a BA Communications at the University of Technology, Sydney (UTS), where she majored in Journalism and Asia Pacific politics, a Masters of Arts from the University of New South Wales and Certificate IV in Workplace Training & Assessment (Train the Trainer) from UTS. Amber has been a four-time nominee in the Telstra Business Women’s Awards and was a 2015 National Finalist in the Flying Solo Business Awards. A podcaster, regular media commentator, MC, guest speaker and business presenter, Amber has also written a number of PR and media industry related articles. Her second best-selling book and six part video series from 2015 are called ‘Well Said: How to be heard in Business and Generate Real Influence’. As of February 2018, she sits as a non-executive director on two boards – Women for Election Australia and the Central Coast Sports College. After working and living overseas for the majority of the previous 20 years Jamie and his family relocated back to Australia in 2010 and the decision to make the beautiful central coast home was an easy one. Jamie has always been active in sport, both as a participant and a spectator and is now contributing further in that area by lending a hand in the growth and development of CCSC. Jamie’s career has predominantly been in senior commercial positions within the mining industry after an early sea change from funds management. During that time Jamie gained valuable experience in roles requiring him to be on the ground at the ‘coal face’ and also to manage corporate responsibilities from the ‘ivory tower’. The latter resulted in Jamie sitting on both private and publicly listed company Boards for nearly ten years where he held positions on various sub-committees. As a commercial consultant to start-ups and small businesses across various industries, Jamie derives satisfaction from business expansion and is excited to be involved with the evolution of such a unique and progressive college.